For over 20 years Kyora Landscapes has been providing garden consultations, garden design, landscape construction and garden maintenance. Kyora has an experienced, professional and friendly team with a wide range of expertise. Based on the Northern Beaches, Kyora Landscapes work throughout Sydney. 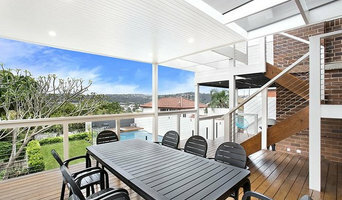 Formed Gardens is a small, passionate team of landscape architects and tradesmen that provides you with a complete range of landscape services from unique and personal garden design, through to council approvals, master planning, documentation, detailed construction and long term garden maintenance. Our experienced team of landscape architects, project managers and qualified tradesmen are focused on producing the highest quality landscapes that will enhance your project, lifestyle, and bring your vision to life. With over twenty five years of experience as a Landscape Designer, I established my own business Volker Klemm Landscape Design in 1999 to offer clients a complete creative and personalised design service. I design gardens because I am passionate about them, and to know that you will get endless hours, if not years of enjoyment from your garden is what makes my job worthwhile. There are many ways to design a garden and I enjoy working with my clients to create a garden that specifically meets their needs, that works with their existing home and its surrounds and one that exceeds their expectations. Whether it's an urban or country garden, roof garden, green wall, swimming pool, pergola, water feature, courtyard, balcony, entrance foyer, boutique commercial project or just garden lighting, no job is too big or too small. In fact, the smaller your garden, the more important every square meter becomes and the more important my contribution. Call me today to arrange an obligation free consultation. Elmich was established in 1985 and is now a leading provider of state-of-the-art and ecologically-minded urban landscaping, drainage, and storm water management solutions to building developers, contractors, and landscape architects around the world. Though headquartered in Singapore with international offices in Australia, Germany, Switzerland and United States, we work closely with our network of partners covering 6 continents in over 27 countries. At Elmich, we pride ourselves as a professional, responsible and eco-sensitive company. We are confident of serving our customers and stakeholders with quality, innovation and resilience. Everyone who works at Elmich is driven by one singular passion – enhancing lives for you and future generations. 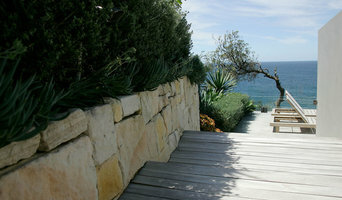 TOPOS Landscape architects is based at Bondi in Sydney’s Eastern Suburbs. We endeavour to embrace the art of designing the outdoor environment; whether a private garden, a coastal promenade or a civic square. Landscape architecture is a unique and wonderful fusion of the natural sciences (ecology, horticulture, physical geography) and the visual arts (design and architecture). Our aim at balanced living is to get people enjoying more time outside by designing and constructing an outdoor oasis to suit their dream lifestyle. What makes the balanced living team unique is that we have over 10 years experience in both the landscaping and building industry. This experience gives us an edge in design and allows us to perform a range of landscaping and construction services from plant selection and installation to decking, paving and tiling and even the installation of outdoor kitchens. We service a large range of areas in Sydney and have previously designed gardens in Sydney CBD, Northern Suburbs, North Shore, Northern Beaches, Inner West, Eastern Suburbs, Sutherland and Central Coast. We are a small family run business with a focus on working closely with our client. Whatever your dream garden oasis is, we are happy to make it a reality. View our services and projects for some inspiration or contact us to organise a consultation. Peter Glass and Associates is Australia’s leading landscape architectural/swimming pool design practice. Highly awarded, their work has been recognised both nationally and internationally. Their unique style, technical knowledge, quality innovative design solutions & attention to detail, have made their name synonymous with design excellence & the highest level of service. Bondi Landscapes is an Eastern suburbs Landscape Design and Construction company serving all of the Eastern suburbs of Sydney, Australia. We specialise in garden upgrades for both large and small spaces. Bondi Landscapes can design and construct for you the perfect garden sanctuary within your home using our expert team of qualified landscape architects and landscapers. 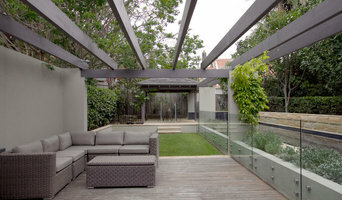 Entrenched Landscapes & Design are Sydney’s most versatile outdoor builders. A hands-on, outdoor construction company, Entrenched offers clients both quality landscape design and superior construction. With more than 20 years’ experience in designing, creating and transforming outdoor spaces, Entrenched has a proven track record of brilliant, beautiful gardens and outdoor spaces. Whether you need a small courtyard makeover or a large-scale landscape redevelopment, we make sure the process from start to finish it seamless. The Entrenched team is led by owner and operator David – from vision consultation through to completion. The Entrenched team combines their flair for functional and beautiful design with the love of building, to produce end results that exceed client’s expectations every time. We create beautiful gardens including the design, construction and development in any style including Meditation Gardens and Memorial Gardens for homes or the office. Our specialty is in creating restful spaces with a calming energy that are welcoming and comforting to all who enter. “All items within the landscape have a role to play and all items in the landscape must relate to those surrounding them. But above all else, all items within the landscape must bring joy.” Serenescapes Landscape Designs is a company based on Sydney’s Northern Beaches who work throughout the Sydney region. Founded in 2013, the team at Serenescapes Landscape Designs strive to exceed expectations and provide the best possible service. We acknowledge that the space you engage us to design is your own and therefore pay particular attention to your brief. This ability to listen, coupled with an extensive knowledge of construction methodologies, plant material and planning regulations, ensure that we will deliver a functional and exciting design to suit your needs and budget.